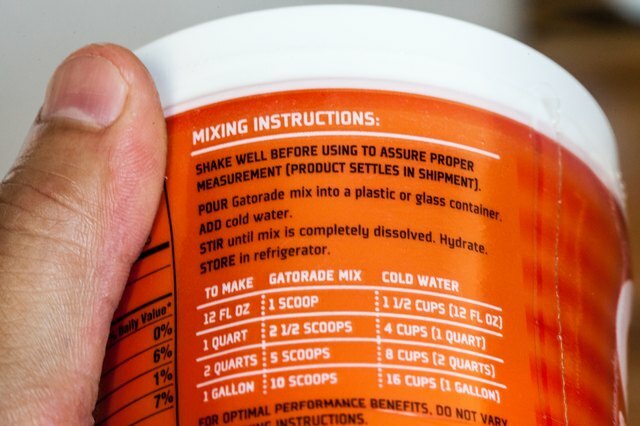 Because each package of powdered Gatorade is different, there is no set powder to water ratio. Therefore, it is imperative to read and keep the Gatorade packaging. 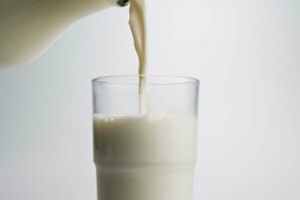 Gatorade is much better for you than many other drinks as it contains potassium. Mixing Gatorade is as easy process. 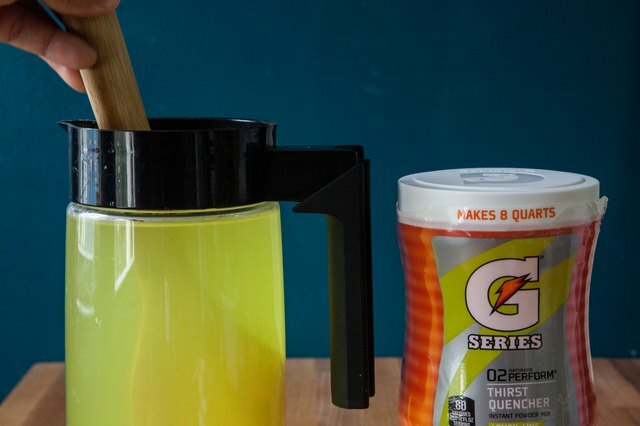 Mix Gatorade powder with cold water, or refrigerate after mixing after mixing for a refreshing drink. According to the maker's of Gatorade, the sport's drink has a much more desirable taste when served chilled. Read the directions on the powdered Gatorade package and acquire a receptacle large enough to hold the mixed Gatorade. Powdered Gatorade comes in a variety of sizes including: individual servings, cups, 2.5 gallons and 6 gallons. Pour the powdered Gatorade into the container. With individual servings the Gatorade can be added directly to a 16.9 oz. bottle of water. If added directly to a bottle of water, shake well before drinking. Add the appropriate amount of water according to package directions. There is no specific ratio of powdered Gatorade to water. Each packet is different. 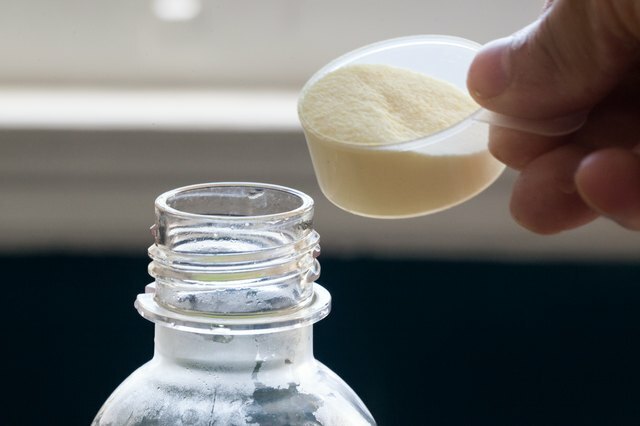 For example, small containers take 1 scoop (which is included in the packaging) and add it to 1 gallon of water. For the larger packages, 21 oz. 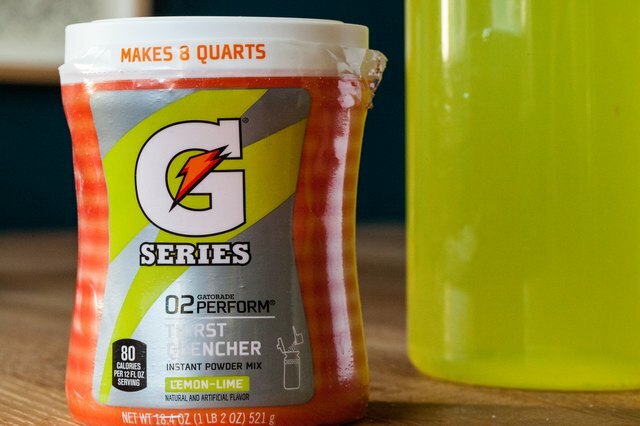 of powdered Gatorade is mixed with 2.5 gallons of water. 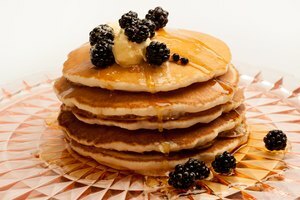 Stir the ingredients thoroughly. Once the Gatorade is free of powdered clumps, refrigerate. If the Gatorade receptacle is too large to refrigerate, add ice to the container to cool the liquid.